Tumor necrosis factor-α (TNF-α) was first isolated two decades ago as a macrophageproduced protein that can effectively kill tumor cells. 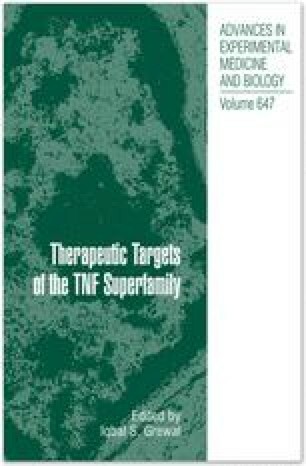 TNF-α is also an essential component of the immune system and is required for hematopoiesis, for protection from bacterial infection and for immune cell-mediated cytotoxicity. Extensive research, however, has revealed that TNF-α is one of the major players in tumor initiation, proliferation, invasion, angiogenesis and metastasis. The proinflammatory activities link TNF-α with a wide variety of autoimmune diseases, including psoriasis, inflammatory bowel disease, rheumatoid arthritis, systemic sclerosis, systemic lupus erythematosus, multiple sclerosis, diabetes and ankylosing spondylitis. Systemic inhibitors of TNF such as etanercept (Enbrel) (a soluble TNF receptor) and infliximab (Remicade) and adalimumab (Humira) (anti-TNF antibodies) have been approved for the treatment inflammatory bowel disease, psoriasis and rheumatoid arthritis. These drugs, however, exhibit severe side effects and are expensive. Hence orally active blockers of TNF-α that are safe, efficacious and inexpensive are urgently needed. Numerous products from fruits, vegetable and traditional medicinal plants have been described which can suppress TNF expression and TNF signaling but their clinical potential is yet uncertain.